Old computer products, like old soldiers, never die. They stay on the market–even though they haven’t been updated in eons. Or their names get slapped on new products that are available only outside the U.S. Or obsessive fans refuse to accept that they’re obsolete–long after the rest of the world has moved on. For this story–which I hereby dedicate to Richard Lamparski, whose “Whatever Became of…?” books I loved as a kid–I checked in on the whereabouts of 25 famous technology products, dating back to the 1970s. Some are specific hardware and software classics; some are services that once had millions of subscribers; and some are entire categories of stuff that were once omnipresent. I focused on items that remain extant–if “extant” means that they remain for sale, in one way or another–and didn’t address products that, while no longer blockbusters, retain a reasonably robust U.S. presence (such as AOL and WordPerfect). If you’re like me, you will be pleasantly surprised to learn that some of these products are still with us at all–and will be saddened by the fates of others. Hey, they may all be inanimate objects, but they meant a lot to some of us back in the day. What they were: The printer you probably owned if you had a PC in the house any time from the late 1970s until the early to mid-1990s. Models like the Epson FX-80 and the Panasonic KX-P1124 were noisy and slow, and the best output they could muster was the optimistically named “near letter quality.” But they were affordable, versatile, and built like tanks. What happened: Beginning in the early 1990s, inkjet printers from HP, Epson, and Canon started to get pretty good–their output came far closer to rivaling that of a laser printer than dot-matrix ever could. And then, in the mid-1990s, inkjet makers added something that killed the mass-market dot-matrix printer almost instantly: really good color. (I still remember having my socks knocked off by the original Epson Stylus Color when I saw it at the Consumer Electronics Show in 1994.) There was simply no comparison between even the best dot-matrix printer and a color inkjet. Current whereabouts: Nobody ever thinks about dot-matrix printers anymore, but they haven’t gone away–my local Office Depot still stocks them, in fact. That’s because they have at least two valuable features inkjet and laser models can’t match: Because the dot-matrix printhead hits the paper with a hard whack, they’re perfect for printing multiple-part forms, and their use of tractor-feed mechanisms rather than dinky trays lets them print thousands of pages without a paper refill. Consequently, small businesses everywhere refuse to give them up. It won’t startle me if there are still Epsons productively hammering out invoices and receipts a couple of decades from now, assuming we still use paper at all. Harry McCracken , PC World’s former Editor in Chief, blogs about all aspects of technology at Technologizer.com . What they were: Dial-up modems from the company whose founder, Dennis Hayes, essentially invented the PC modem in the 1970s. The commands he devised became such a standard that all dial-up modems use them to this day. Hayes dominated the modem business for years–it was as synonymous with the product category it pioneered as any tech company before or since. What happened: Well, dial-up modems don’t matter as much as they once did, in case you hadn’t noticed. But Hayes’ decline and fall dates to well before the death of dial-up: The company stubbornly kept prices high even in the face of much cheaper competition, and thought its future lay in making ISDN modems, a market that never took off. It declared bankruptcy in 1994 and again in 1998, and was liquidated in 1999. Current whereabouts: In 1999, Zoom Telephonics–the company whose dirt-cheap modems played a major role in crushing Hayes–bought the Hayes name. It continues to market a few Hayes-branded modems. But it’s a pretty obscure fate for a once-mighty brand–I didn’t know it was still extant at all until I checked. What it was: Sony’s format for pint-sized recordable audio discs, introduced in 1992. The idea was that it combined the best qualities of compact discs and cassette tapes into one high-quality, portable package that could contain up to 80 minutes of music. What happened: MiniDisc found some fans–it was popular in Asia, and among musicians. But it never gained much support from the music industry, so few prerecorded albums were available. And within a few years of its introduction, it found itself competing with digital downloads. While Sony introduced NetMD, a MiniDisc variant that supported MP3, the company made it remarkably unappealing by adding copy protection to your tracks as you transferred them to disc. Why would you choose NetMD when a multitude of players, such as those from Diamond and Creative, let MP3s be MP3s? Good question! Current whereabouts: In 2004, Sony upgraded the MiniDisc format with Hi-MD, a higher-capacity, more flexible standard that was backwards compatible with MiniDiscs. It garnered some admiration among audiophiles for the high quality of its recording capabilities. But as of 2009, only one Hi-MD device remains in Sony’s lineup, the MZ-M200. It’s aimed at musicians and journalists who need to make recordings on the go. The moment it disappears, we can officially declare MiniDisc dead. What they were: The black-and-white CRT that most businesses and many homes used with computers from the 1970s through the late 1980s–and they worked just fine, since most DOS applications made little use of color, and early Macs didn’t support it at all. What happened: Graphical user interfaces, multimedia, and games all made universal use of color inevitable, but it took a long time before it truly conquered computing. Well into the 1990s, lots of folks who wouldn’t dream of using a black-and-white display with a desktop PC still toted monochrome notebooks. But today, even a $200 netbook has a perfectly respectable color display. Current whereabouts: You don’t want a monochrome display. But if you did, you wouldn’t have trouble finding one–even Dell still stocks them. They’re still out there in large quantities, being used for electronic cash registers and other unglamorous but important text-based applications. And hey, monochrome is making its own unexpected sort of comeback: My brand-new Kindle 2 e-book reader has an E-Ink screen that does 16 shades of gray, and nothing else. What it was: An extremely popular line of graphics cards for IBM PCs and compatibles. Hercules first appeared in 1982, the year after the IBM PC was launched, and was known for its high-quality text; it was as synonymous with graphics in the 1980s as Creative’s Sound Blaster was with audio a decade later. What happened: When fancy color graphics replaced spartan text displays, Hercules continued to be a prominent brand for years, though it never dominated as it did in the early years. But in 1998, it was bought out by competitor ELSA, which then went bankrupt and sold the Hercules brand to French tech company Guillemot. (In researching this article, I’ve come to the conclusion that one sale or merger is usually bad news for a venerable brand, and a second one is usually near-fatal.) Guillemot continued to make cards under the Hercules name for several years. But industry consolidation in the graphics biz was ongoing and brutal, and in 2004 it ceased production of them. Current whereabouts: The Hercules name lives on, but in an array of tech gadgets that doesn’t include graphics cards: Guillemot uses it for notebooks, Wi-Fi and powerline networking gear, sound cards, speakers, iPod accessories, laptop bags, and more. I wish them luck. But it’s a little as if McDonalds stopped selling burgers to concentrate on tuna salad, Philly cheese steaks, BLTs, and Reubens. What they were: The handy-dandy, pocketable gadgets that started as organizers in the early 1990s and blossomed into full-blown computing devices, from the pioneering Apple Newton and Casio Zoomer to the enduringly popular Palm PalmPilot and Compaq iPaq lines. What happened: By 2005 or so, stand-alone PDAs were rendered almost entirely superfluous by their close cousins known as smartphones, which started out big and clunky but eventually did everything a PDA did, and a lot more. Despite occasional attempts to reinvent the PDA–such as Palm’s ill-fated LifeDrive–almost nobody chose to purchase and carry a phone and a PDA. Current whereabouts: I’m not sure when any manufacturer last released a new PDA, unless you want to count the iPod Touch as one. (And come to think of it, I can’t think of a strong argument against calling it a PDA.) HP, which acquired the iPaq line when it bought Compaq, still sells four aging PDAs under the name. Palm, meanwhile, maintains an eerie ghost town of a handheld store, which still lists three models but says they’re all sold out. Amazon still has Palm PDAs in stock, though, so they’re not quite dead. Yet. What it was: A PC manufacturer (named after a venerable but defunct radio company) that dominated the retail home PC market in the early 1990s. What happened: Numerous products in this article fell on hard times in part because of crummy business decisions by their owners, but no other one did itself in so quickly and so self-destructively as Packard Bell. Its computers were cheap in part because they were terrible, and backed by subpar customer support. When rivals such as Compaq started selling reasonable computers at reasonable prices through retail stores, Packard Bell started to founder. The decision by NEC to take a controlling interest in Packard Bell in 1995 seemed bizarre even at the time; in 2000, the last Packard Bells disappeared from U.S. store shelves. Current whereabouts: Lots of places–just not stateside. The brand name never died in Europe, and after a couple of further changes of ownership, it ended up as an arm of Taiwanese PC giant Acer in 2008. It now makes laptops, desktops, displays, MP3 players, and desktops. And if it ever returns to the U.S. market, it’ll be a more impressive comeback than anything Paul “Pee-Wee Herman” Reubens has managed. What it was: A remarkable line of personal computers, introduced by home PC pioneer Commodore in 1985, that delivered powerful multimedia and multitasking years before they became commonplace on PCs and Macs. What happened: Well, you could fill a book with the details–and hey, someone did. Commodore had superb technology, but did a terrible job of developing and marketing it. You could argue that Amiga would have petered out no matter who owned it–even Apple flirted with death as DOS and then Windows overwhelmed other alternatives–but Commodore’s decision-making sure didn’t help. In 1994, it declared bankruptcy and stopped making computers. The Amiga name went on to change hands at least four times over the next decade, sometimes being used on hardware, sometimes being used on software, and sometimes just disappearing. Current whereabouts: Amiga, Inc, the current owner of the Amiga name, uses it on middleware for set-top boxes as well as games and other applications for cell phones (you can buy an Amiga tip calculator). It also says it’s still working on Amiga OS 4.0, a product so long in the making that it, like Harlan Ellison’s science-fiction anthology The Last Dangerous Visions, is best known for how long it’s been promised without ever appearing. As a former Amiga fanatic, I hope it does ship someday–there’s no way a new Amiga OS wouldn’t be cooler than an Amiga tip calculator. What they were: A form of removable storage, in 3.5-, 5.25-, and 8-inch variants, that started in the 1970s as a high-end alternative to saving programs on audio cassettes, then segued into serving as a handy complement to hard drives. What happened: Until the mid-1990s, floppies remained essential. But then the Internet came along and provided folks with file downloads and attachments–faster ways to accomplish tasks that had long been the floppy disk’s domain, without floppies’ 1.44MB capacity limitation. (Higher-capacity floppies arrived at about the same time, but never caught on.) Much higher-capacity storage media like Zip disks and recordable DVDs nudged floppies further towards irrelevancy. And USB drives–which provide a gigabyte or more of storage for less than what I paid for one 72KB floppy in the 1970s–finished the job. Current whereabouts: Floppy drives are no longer standard equipment, but they certainly haven’t vanished–in fact, you may have a computer or two around the house that sports one. New 3.5-inch drives and media remain readily available, and you might be able to find 5.25-inch ones if you hunt a bit. (8-inch floppies I can’t help you with.) Which leaves only one question: Under what circumstances would you opt for floppies over something like a $10 (or so) 4GB USB drive that holds 2750 times as much data? What they were: Iomega’s extremely useful, cleverly marketed high-capacity removable disks–introduced back in 1994, when 100MB qualified as high capacity. They were never as pervasive as floppies, but they must be the most popular, most-loved proprietary disk format of all time. What happened: The same things that happened to floppy disks, only more slowly–and complicated by the malfunction ominously known as the click of death. When cheap CD burners made it easy to store 650MB on a low-cost disc that worked in nearly any computer, Zip started to look less capacious and cost-efficient. And then USB drives–which offered more storage than Zip and required no drive at all–came out. Along the way, Iomega launched new disk formats such as Jaz, PocketZip, and Rev, but they failed to recapture the Zip magic. Current whereabouts: Iomega seems to be doing fine as a manufacturer of storage products of all sorts. It still sells 250MB and 750MB Zip drives, along with Zip media going all the way back to the original 100MB disks. I confess that I never owned a Zip drive myself–but I’ll still feel a twinge of sadness when they finally go away. What it was: The 8-bit microprocessor, dating to 1976, that powered an array of early personal computers, including the Radio Shack TRS-80, the Osborne 1, the KayPro II, the Sinclair ZX80, the Exidy Sorcerer, and many others. It was also inside Pac-Man arcade games and ColecoVision game consoles. What happened: Progress! Among the notable things about 1981’s original IBM PC was its use of a powerful 16-bit CPU, the 8088. In time, 16-bit processors gave way to 32-bit ones, which have been superseded by 64-bit models like Intel’s Core 2 Duo and AMD’s Phenom. Current whereabouts: Everywhere–but invisibly so. It’s been more than a quarter-century since the chip’s time as a personal-computer CPU ended, but it never stopped finding useful life in industrial equipment, office devices, consumer electronics, and musical instruments. Zilog, the Z80’s inventor, still makes ‘em. Anyone want to wager on whether the Core 2 Duo will still be around in 2042? What it was: The dominant PC database software from almost the moment it first appeared in 1980, and one of the best-known pieces of productivity software, period; the flagship product of Ashton-Tate back when that company was arguably a better-known name in software than Microsoft. What happened: dBASE IV, mostly. That 1988 upgrade was late and buggy, and Ashton-Tate didn’t move fast enough to fix it, ticking off the loyal developers who had made dBASE a standard. The company also spent a lot of time suing competitors, which is never as productive an investment of time and money as improving one’s own products. In 1991, Borland bought Ashton-Tate for $439 million, and acquired dBASE IV’s bad luck along with it–neither Borland nor dBASE fared well in subsequent years. And in 1992, Microsoft launched Access, a database that might have slaughtered dBASE no matter what. But dBASE was on the mat before Access ever entered the ring. Current whereabouts: In 1999, dBASE was sold again, and its new owner, DataBased Intelligence, continues to sell it to this day. (It’s now called dBASE Plus, as if dBASE IV had never existed.) The company’s newsgroups are surprisingly active, showing that real people are still using dBASE to do real work. Not bad for a product that most of us wrote off as a goner early in the first Clinton administration. What it was: The browser (formally known as Netscape Navigator for most of its life) and company which, beginning in 1994, jump-started both the Web and the Internet economy. Netscape, meanwhile, went off on tangents such as developing a communications suite that didn’t amount to much and enterprise software that it eventually sold to Sun. The company sold out to AOL in 1998; AOL had so little interest in the browser it bought that it continued to distribute IE as its primary one. An ever-shrinking user base did continue to get new versions of Netscape, but in December 2007, AOL announced it was pulling the plug. Current whereabouts: If you’re an optimist, you’ll focus on one wonderful fact: Firefox, which is based on Mozilla code that originated as an open-source version of Netscape, is a huge success. The Netscape name, however, is profoundly shopworn. In recent years, AOL has slapped it on a budget ISP (which still exists but doesn’t seem to be signing up new customers) and an imitation of Digg (now known as Propeller). Today. it’s mostly just a slight variant on the AOL.com home page with the Netscape logo repeated endlessly in the background. But did I mention that Firefox is doing great? What it was: The operating system that powered the original 1981 IBM PC. And then a bunch of clones of the original IBM PC. And then the vast majority of the personal computers on the planet. What happened: The simplistic answer: When Windows 95, the first version of Windows that didn’t require DOS to run, came along, it rendered DOS obsolete. (Eventually–some people happily ran DOS and DOS applications for several years after Win 95 debuted.) More thoughtful answer: The moment that the Mac brought graphical-user interfaces into the mainstream in 1985, it was the beginning of the end of the drab, relentlessly text-based DOS. Current whereabouts: DOS refuses to die. It seems to me that I still see it in use at small independent businesses such as antique stores and dry cleaners–the kind of outfits that don’t bother to change something that still works, even if it’s a decade or two out of fashion. It’s the inspiration for FreeDOS, an open-source project with a thriving community. And Microsoft still offers MS-DOS 6.22 for download to customers who subscribe to various volume-licensing plans. Why would the company bother if there weren’t people who still needed it? What it was: The world’s most popular spreadsheet–the first killer app for the IBM PC, and the spreadsheet that replaced the original killer app, VisiCalc. It was also the flagship program in Lotus’s SmartSuite, an office bundle that provided Microsoft Office with real competition in the mid-1990s. What happened: A variant on the fates that befell WordPerfect, Harvard Graphics, and other major DOS productivity apps. Lotus thought that IBM’s OS/2 would replace DOS, so it focused its energies on that OS, then had to play catch-up when OS/2 went nowhere and Windows caught on like crazy. Starting in the 1990s, it turned its attention to its Notes collaboration platform, and seemed less and less interested in desktop applications–especially after IBM bought Lotus in 1995. That gave Microsoft plenty of opportunity to make Excel competitive with 1-2-3 and leverage its place in the Microsoft Office suite. By the late 1990s, 1-2-3 was a has-been; Lotus last upgraded it in 2002. Current whereabouts: IBM still sells that 2002 version of 1-2-3, which it cheerfully calls “the latest release.” For $313, it throws in the other SmartSuite apps “as a bonus.” But it’s so disinterested in the product that made Lotus a software giant that when it recently introduced a new suite that includes a spreadsheet, it named that suite after a different old Lotus package–Symphony. What it was: Aldus’s groundbreaking desktop publishing application, launched in 1985. Along with Apple’s Macintosh and LaserWriter laser printer, it made it possible for mere mortals to create professional-looking documents (as well as eyeball-searing monstrosities) for the first time. What happened: PageMaker’s decline was slow and multifaceted. As word processors gained respectable graphics capabilities, casual users had less need for PageMaker, and QuarkXPress offered more sophisticated tools for professionals. Adobe, which had acquired Aldus in 1994, lost interest in PageMaker and built its own publishing app, InDesign, from the ground up. In 2004, it announced that it would cease further development of PageMaker. Which is a darned odd claim to make about a program that’s incompatible with all current Macs (it’s an OS 9 application) and Windows Vista. Dig deeper, and you’ll find Adobe’s real opinion of PageMaker, which is–surprise!–that you should use InDesign instead. What it was: Berkeley Systems’ screensaver for Macs and PCs, introduced in 1989 and most famous for its iconic flying toasters. Ask anyone to mention a specific screensaver, and the odds are 99.9999 percent that this is the one they’ll mention. It spawned multiple sequels and spinoffs such as neckties and boxer shorts. Also, the theory that you needed a screensaver to prevent your monitor from burning in turned out to be hooey. Anyhow, Berkeley Systems’ last After Dark outing was something called After Dark Games, in 1998; it wasn’t even a screensaver. Current whereabouts: Berkeley Systems is no more, but Infinisys, a Japanese company, sells a modern OS X version of After Dark. But not too modern: It doesn’t work on Intel Macs. What it was: The first popular presentation-graphics program, released back in 1986 when many of the slides it produced really did end up as slides. For years, it was the flagship product of Software Publishing Corporation, which was forced to run disclaimers explaining that the product had nothing to do with the university of the same name. What happened: Harvard Graphics was far better than PowerPoint for a long time. Little by little, though, PowerPoint narrowed the gap. In the 1990s, being a only little better than a Microsoft application was a recipe for disaster–especially if your product was a stand-alone application that competed against one that was part of Microsoft Office. In 1994, SPC laid off half its staff; in 1996, it merged with Allegro New Media; in 1998, it released Harvard Graphics 98, its last major upgrade. Current whereabouts: In 2001, British graphics software developer Serif acquired Harvard Graphics–cheaply, I’ll bet–and has kept it kept alive. But it’s on life support: Harvard Graphics 98 is still for sale, along with a few other variants. There’s no mention of when any of them last got an upgrade, but the fact that Windows Vista isn’t mentioned in their hardware requirements isn’t a great sign. Nor is the the lack of any reference to the Harvard line in the list of products on Serif’s own site. What it was: A research project at legendary computer company Digital Equipment Corporation that became the first widely popular Web search engine soon after its launch in December, 1995. What happened: Digital was a strange parent for a search engine, but it did a great job with AltaVista. In 1998, however, it was acquired by Compaq–also a strange parent for a search engine–which tried to turn AltaVista from a search specialist into a Yahoo-like portal. In 2000, Compaq sold it to dot-com investment firm CMGI, which later sold it to Overture Services (the former GoTo.com). In 2003, Overture itself was acquired by Yahoo. By then, AltaVista had lost most of its personality and its users–and Google had grown into a behemoth by being really good at the stuff that AltaVista had pioneered before there was a Google. Current whereabouts: There’s still an AltaVista.com, but its traffic is minimal and it seems to be nothing more than a reskinned doppelganger of part of Yahoo (compare this AltaVista query to this Yahoo one). The site that started as a great piece of technology from one of the world’s great technology companies is now just a name. Sniff. What it was: A grocery-delivery dot-com service that was famous, at first, for the ambition of its plans, the enormity of their expense, and the impressive resumes of its management team. It was also pretty darn beloved by more than a few folks I know, who loved the quality of its service. What happened: Spending more than a billion dollars to build cutting-edge warehouses turned out to be an investment that couldn’t possibly pay off quickly enough. After a string of other questionable business decisions (when its CEO was ousted, his golden parachute included a $375,000 payment–annually, for life), Webvan declared bankruptcy in 2001. Current whereabouts: I didn’t realize until I began work on this story that Webvan.com still sells groceries–but only nonperishable ones–as an outpost of the Amazon.com empire. Strangely, Amazon has another site, Amazon Fresh, which specializes in delivering stuff that is perishable. Meanwhile, most Americans seem content to get their foodstuffs the old fashioned way, by trudging the aisles of a supermarket with a cart. What it was: The . Starting in 1979, it offered message boards, news and information, e-commerce, and other Web-like features–long before there was a Web, and even before there was an AOL. What happened: Well, the rise of AOL in the early 1990s left CompuServe as the second-largest online service, which was probably a lot less fun than being the biggest. Shortly thereafter, CompuServe had to deal with the Internet. Like other proprietary services, it became a not-very-satisfying not-quite-an-ISP. And as consumers flooded the Web, CompuServe’s once-bustling message boards started to feel deserted. In 1997, AOL bought CompuServe, and while CompuServe’s robust international network helped bolster AOL’s infrastructure, the CompuServe community dwindled away. Current whereabouts: Like Netscape, CompuServe became a nameplate that AOL attaches to slightly embarrassing projects. It’s now a bargain-priced ISP and a half-hearted portal site; its boilerplate copy calls CompuServe a “key brand” and touts CompuServe 7.0 as “the newest version” without mentioning that it’s eight years old. (Weirdly, CompuServe’s home page also carries the logo of Wow, a faux-AOL that the company shuttered within months of its 1996 release–I can’t believe that anyone misses it or is looking for it.) For those of us who were CompuServe users back when its user IDs consisted of lots of digits and a mysterious comma, it’s a depressing fate. What it was: A joint venture of Sears Roebuck and IBM that launched an extremely consumery online service in 1990–a more mainstream alternative to CompuServe before AOL became a phenomenon. Geeks sneered at it (some called it “Stodigy”), but it managed to sign up a sizable number of users in an era when the typical American had never laid eyes on a modem. What happened: Within a few years of Prodigy’s debut, the Internet made proprietary services like it (and CompuServe, and Delphi, and GEnie, and, eventually, AOL) look like antiques. Prodigy started adding Internet features, and in 1997 it relaunched itself as a full-blown ISP. (It also shut down the original Prodigy service rather than fixing its Y2K bugs.) It did okay as an ISP, at least for awhile–in 1998, it was the country’s fourth largest. But in 2001, SBC (now AT&T) bought Prodigy and retired the brand name. Current whereabouts: Down south! In Mexico, Telmex, the dominant telecommunications company, owns the Prodigy name and still uses it. Here it is on a video site, and on a portal that’s cobranded with MSN (!). And don’t hold me to this, but I suspect that there are still some stateside SBC customers who retain Prodigy.net e-mail addresses–just as I maintained a Mindspring one for years after that ISP was acquired by EarthLink. What happened: VCR Plus+’s fortunes were dependent on the fortunes of the VCR. As the 1990s wore on, consumers spent less time futzing with recording tapes at all, and more time renting and buying tapes–and, eventually, renting and buying DVDs. By the end of the decade, TiVo and ReplayTV allowed TV fans to record hours of shows without dealing with tapes at all. Meanwhile, Gemstar founder Henry Yuen was fired after an accounting scandal–and then went missing. Current whereabouts: VCR Plus+ is now owned by Macrovision, a company more famous for technologies that prevent people from recording entertainment than ones that help them do so. The codes are available on TVGuide.com and VCRPlus.com, and in newspaper TV listings. (Of course, in an era of 500 channels and on-screen guides, newspaper TV listings are even more anachronistic than newspapers in general.) But you know what? I’m not sure whether anyone’s still making VCRs with VCRPlus+. What it was: A chain of consumer-electronics superstores with roots that went back to 1949. For a time in the 1990s, it was the most high-profile technology merchant in America. What happened: Two words: “Best” and “Buy.” Plus misguided decisions like laying off experienced salespeople and replacing them with cheaper clueless newbies. Not to mention the fact that almost every major electronics retailer eventually falls on hard times and liquidates itself–it seems to go with the territory. Current whereabouts: Up north! In the U.S., Circuit City is now a nationwide chain of large, empty storefronts, but its Canadian subsidiary, The Source by Circuit City, remains a 750-store powerhouse. (Confusingly–at least for us Yanks–the chain is the former RadioShack Canada.) Earlier this month, Bell Canada agreed to buy The Source; it says it’ll keep the name, but I’m guessing it wasn’t referring to the “by Circuit City” part. 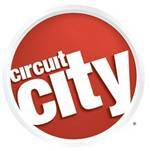 But even if it deletes it, Circuit City may not be utterly dead: The home page for its currently closed site says it hopes to restore some sort of online presence. What it was: A nationwide chain of software stores with an odd name and an even odder mascot (Professor Egghead, an Albert Einstein-lookalike anthropomorphic egg — or was he a normal human cursed to live his life with an egg for a noggin?). What happened: Like most tech retailers, Egghead eventually fell on hard times; in 1998, it shuttered its stores and went online only. In 2001 it declared bankruptcy and closed the site, too (bad publicity after hackers broke into its customer database apparently speeded its demise). Current whereabouts: Even after the business collapsed, the Egghead name was worth something–$6.1 million, which is what Amazon.com paid for it in 2001. The e-tailing giant continues to sell software at Egghead.com. It’s basically the software section of Amazon’s own site, but it does sport an Egghead logo, just in case any loyal customers are out there who aren’t aware that Egghead folded eight years ago. Sadly, the Professor is nowhere to be seen. Will these 5 CES gadgets still exist in a year?